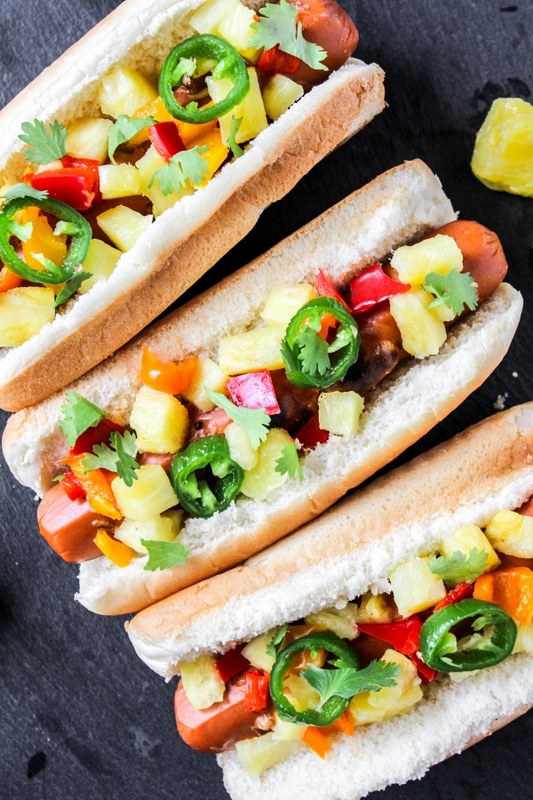 Take your tastebuds on a trip to the tropics with these delicious and flavorful Grilled Hawaiian Dogs! 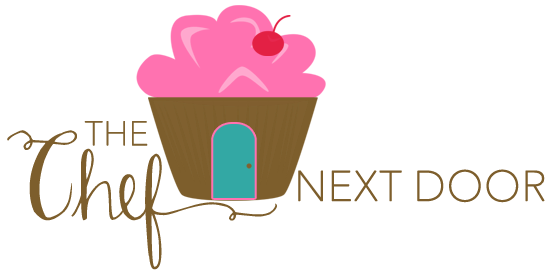 With the holiday weekend right around the corner I'm finalizing my meal plan and getting my grocery list ready. We typically don't go anywhere for the 4th so I have my family over and we grill out and eat our favorite summer foods. My mom's homemade potato salad is a staple on our table during the summer, and we also love baked beans and corn on the cob. Pretty much the quentessential summer meal, am I right? What I throw on the grill depends on what we're in the mood for. Sometimes it's steak, other times it's chicken, and more often than not it's hamburgers and hot dogs. There's just something about a delicious grilled burger or dog that makes the 4th of July special. 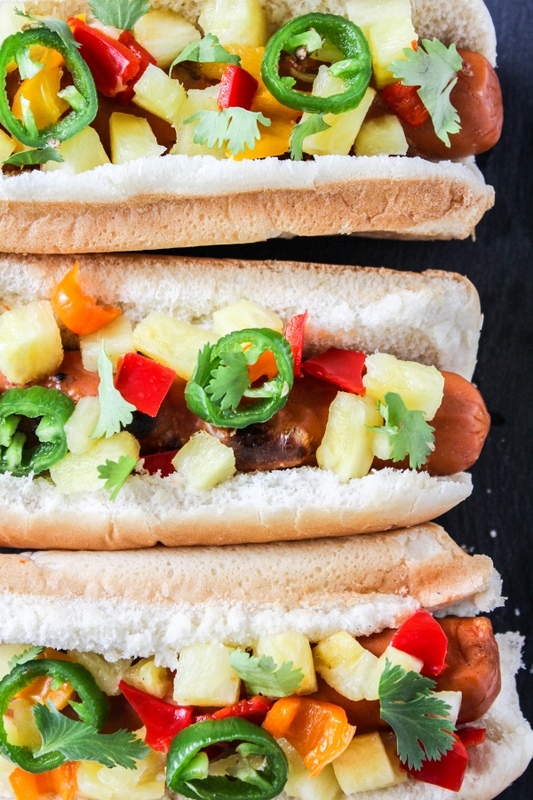 This year hot dogs are definitely on the menu but I'm adding my own special touch by making these Grilled Hawaiian Dogs. The addition of fresh pineapple, sweet peppers, jalapeno and cilantro will make you feel like you're sitting on the beach on a tropical island! 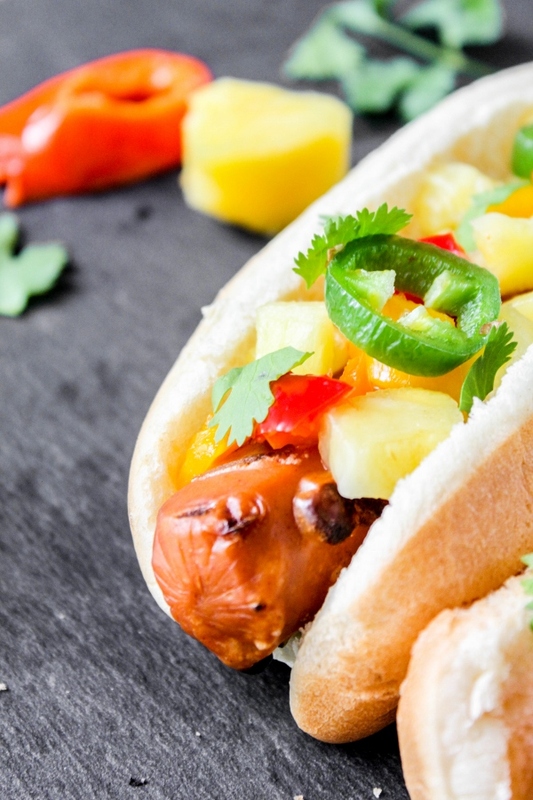 These flavorful and delicious Hawaiian Dogs are made even better by using Lightlife® Jumbo Smart Dogs®. 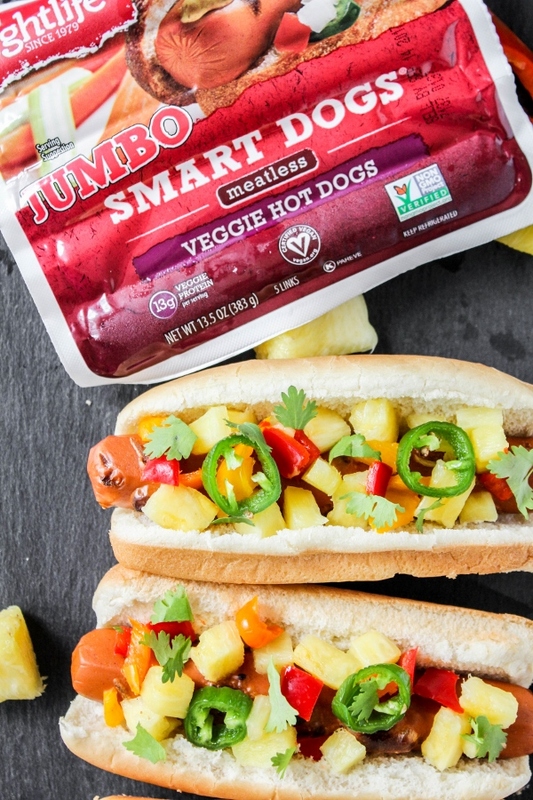 These meatless veggie hot dogs taste just like classic dogs without the saturated fat or cholesterol. Lightlife is a leader in the plant-based food movement and has been offering a wide variety of products since 1979. Smart Dogs® come in two sizes, regular and jumbo, and have 7 or 14 grams of protein per dog, depending on the size. They are non-GMO project verified, certified vegan, and most importantly, delicious! 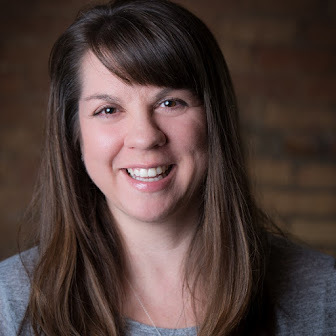 Learn more about Lightlife and get recipe ideas by visiting their website. You can also follow them on Facebook, Twitter, and Instagram! Who's ready to grill up some dogs? Let's get cooking! Preheat a grill to medium. When ready, grill the hot dogs until grill marks appear and they are warmed through. 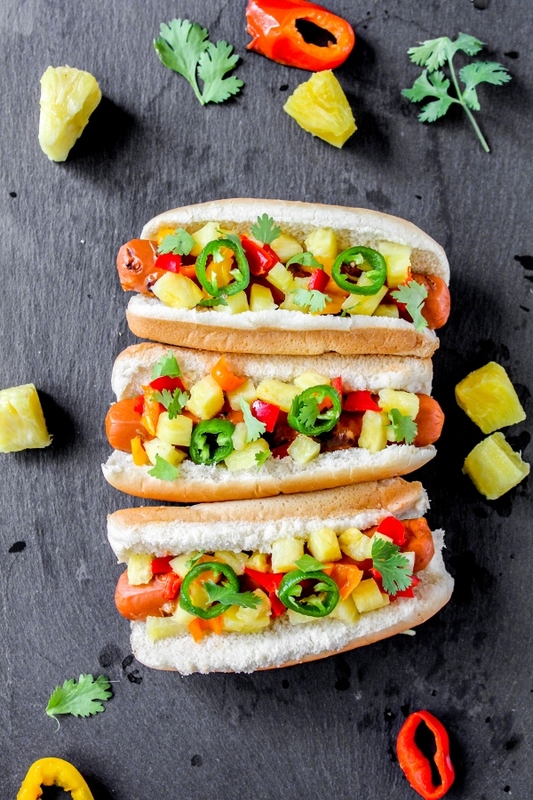 Place the hot dogs in the buns and top each with a little bit of the pineapple, sweet peppers, jalapeno slices and cilantro. I received free Lightlife products and a grilling kit to create a delicious recipe for this post.